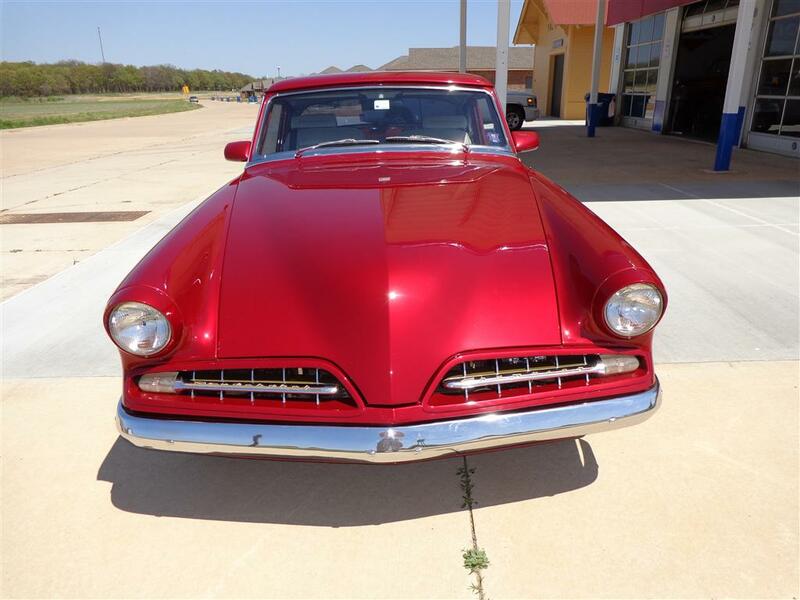 This month’s Great Oklahoma Classic is a 1954 Studebaker Starlite Coupe that belongs to Dave Lester of Perkins Oklahoma. 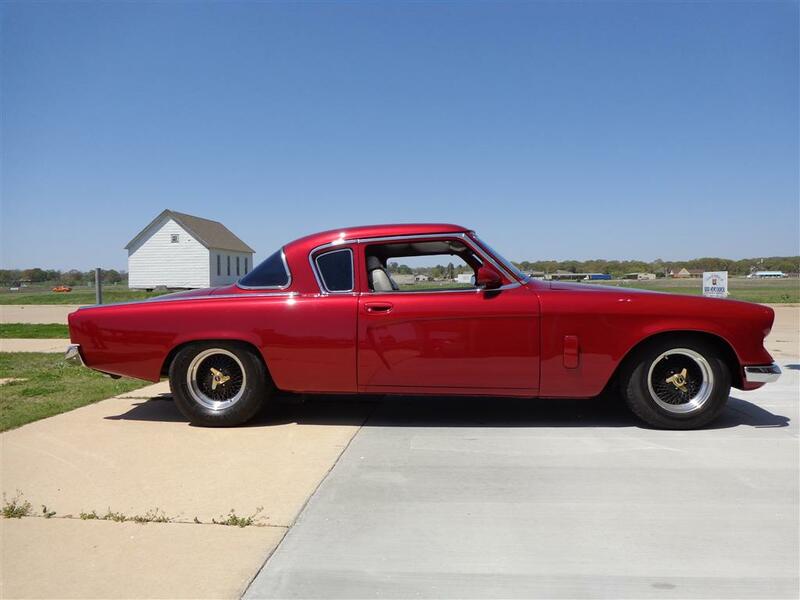 Dave purchased the Studebaker in July of 1996 which began a seventeen year love affair. Just ask Dave about his car and the first thing you see is a big smile! 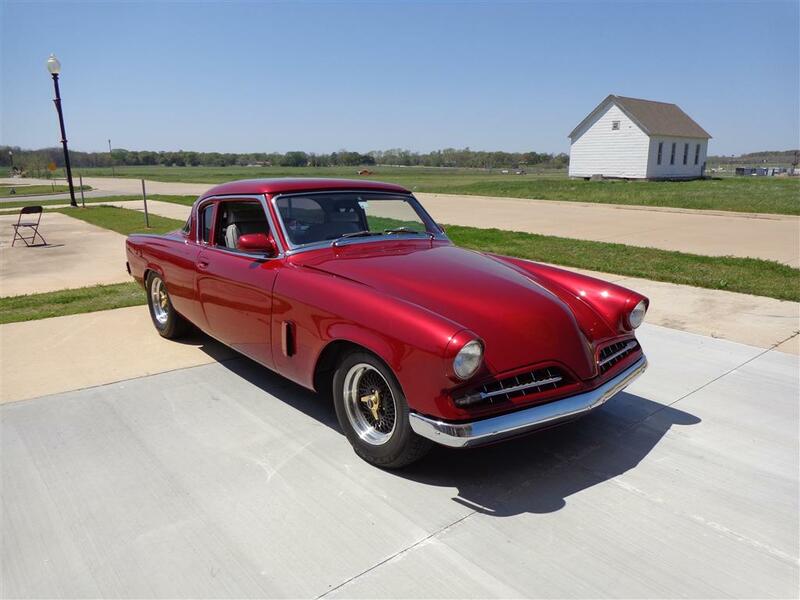 Good friend and professional body man Craig Schupp and Dave began to disassemble the Studebaker shortly after the purchase. With the front clip off of the car, the Stude was taken to Mark Payne, who installed a new box frame and a Mustang II sub frame. The sub frame work and interior were the only two items "contracted" out on the project. Everything else was done in Dave’s home shop. Custom touches to the body include an electric antenna from a Chrysler LHS, outside door handles are also Chrysler LHS. The outside rear view mirrors are from a Dodge Dynasty. Few other modifications were made to the body, other than shaving some emblems and painting the head and tail light bezels. The engine is a GM 350 and 700R4 overdrive transmission. 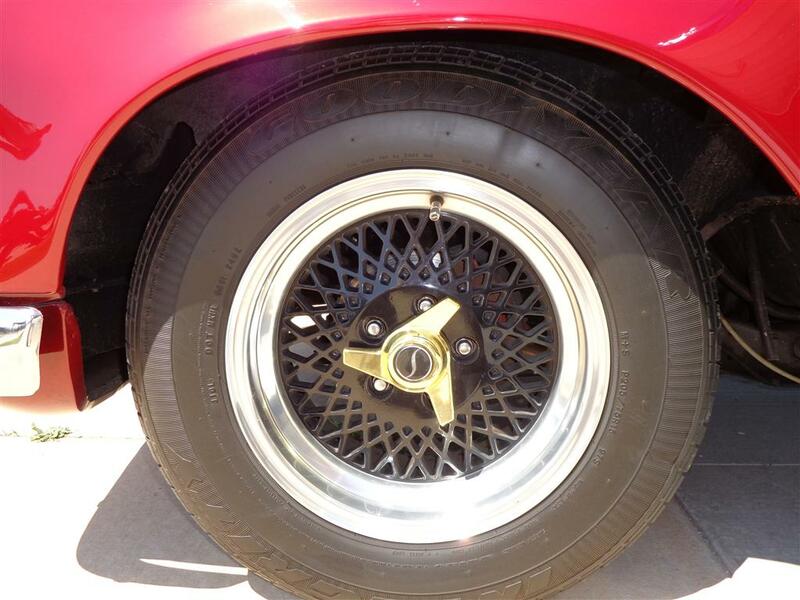 The power gets to the rear wheels through a Dodge 8 3/4 posi-trac rear end. 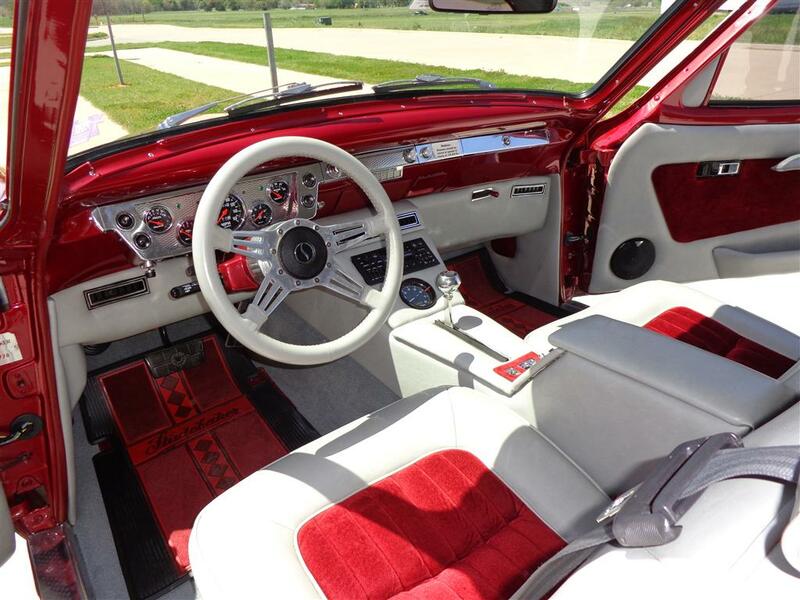 The beautiful custom interior was done by Roger Bowers of Stillwater Oklahoma. 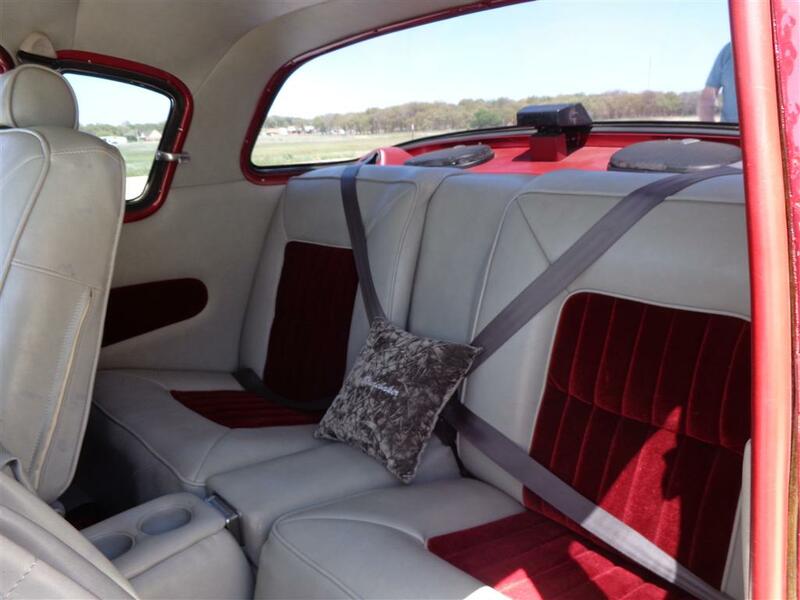 The car has 8-way power seats from a Buick Riviera, a Cadillac tilt/telescoping steering column, Vintage Air, cruise control, remote entry, AM/FM/cassette radio, and custom built console and under dash padding, and an overhead console from a Dodge Dynasty. 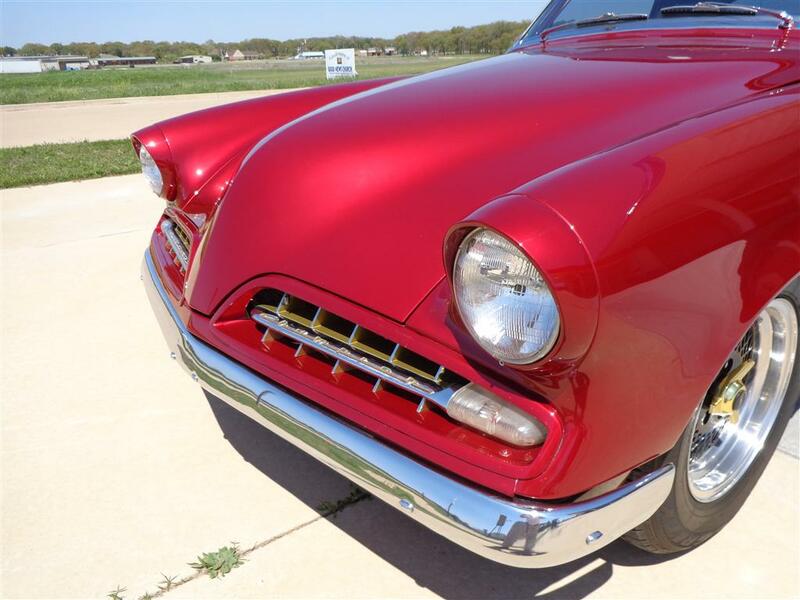 The instrument cluster is custom built, with engine turned aluminum, much like Studebaker used in later years. The custom interior work does not stop in the front. The back seat area of the Stude is also eye catching! 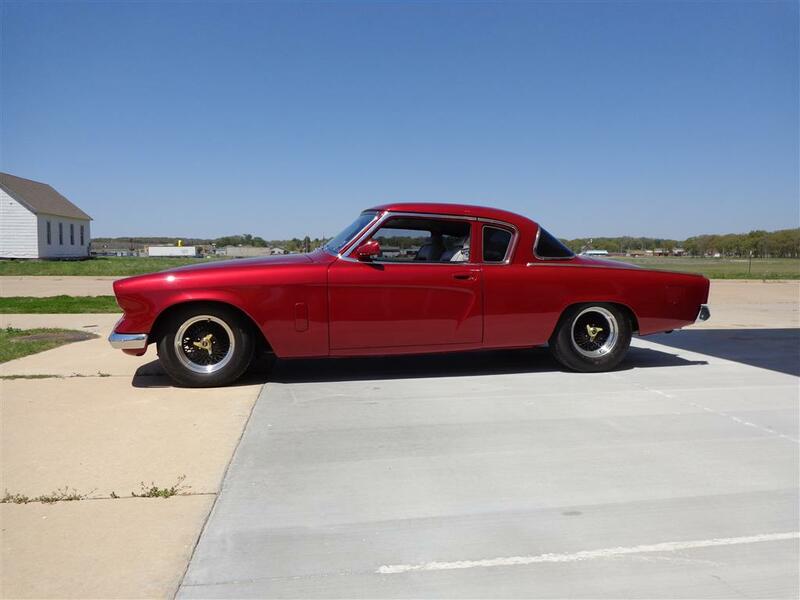 The Starlight Coupe sets on Goodyear P205/75R15 front, P235/70R15 rear tires mounted to American Racing Wheels. Friend Norman McNickle did most of the wiring, and assisted Dave in the paint job, which was done in the back room of Dave’s Quonset hut. 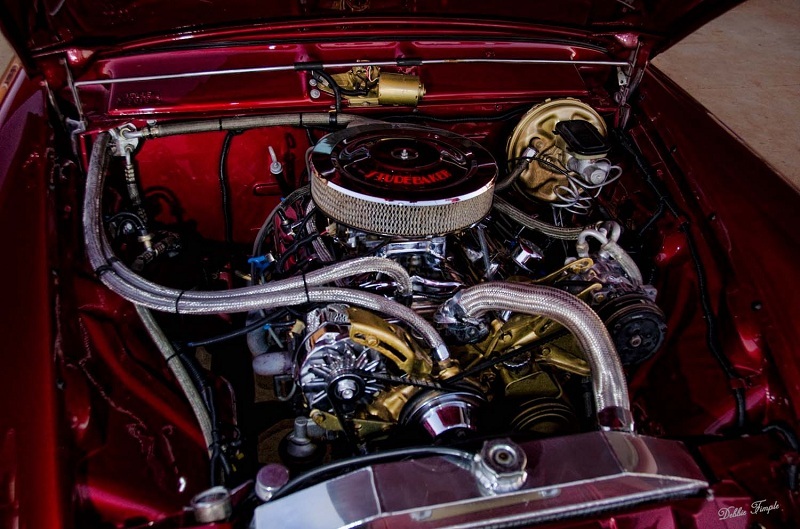 The custom Studebaker classic made its first show appearance at the Darryl Starbird Show in OKC January of 1999. 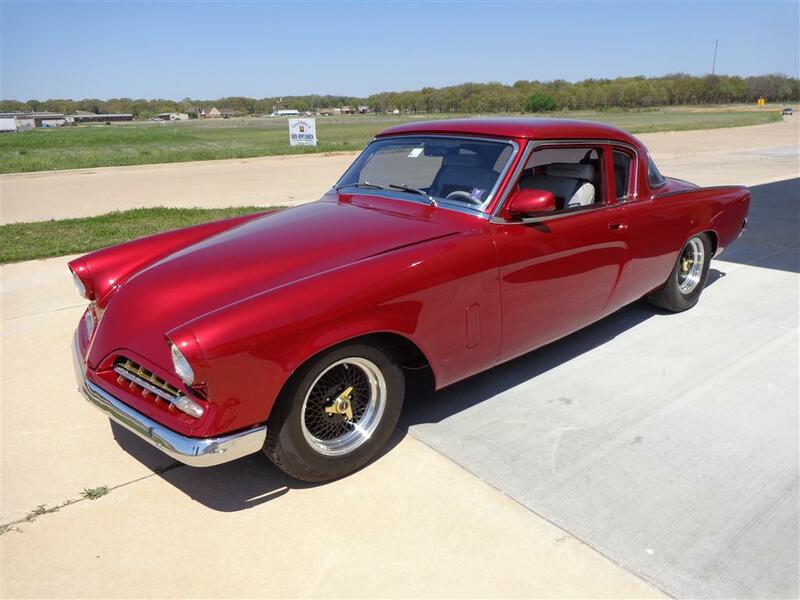 As any classic vehicle enthusiasts can easily understand, this beautiful Studebaker Starlight Coupe continues to win many trophies at shows all over Oklahoma and out of state shows as well! If you decide to visit the site, get a pot of coffee ready, and turn up your volume. 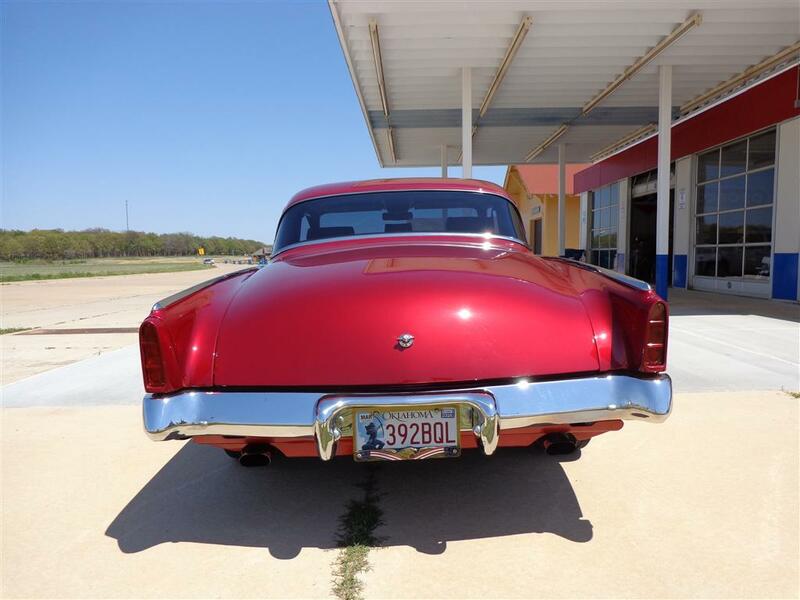 The Cimarron Starlite Cruisers sincerely appreciate Dave Lester for sharing his custom classic 1954 Studebaker Starlight Coupe as our Great Oklahoma Classic for May 2013!